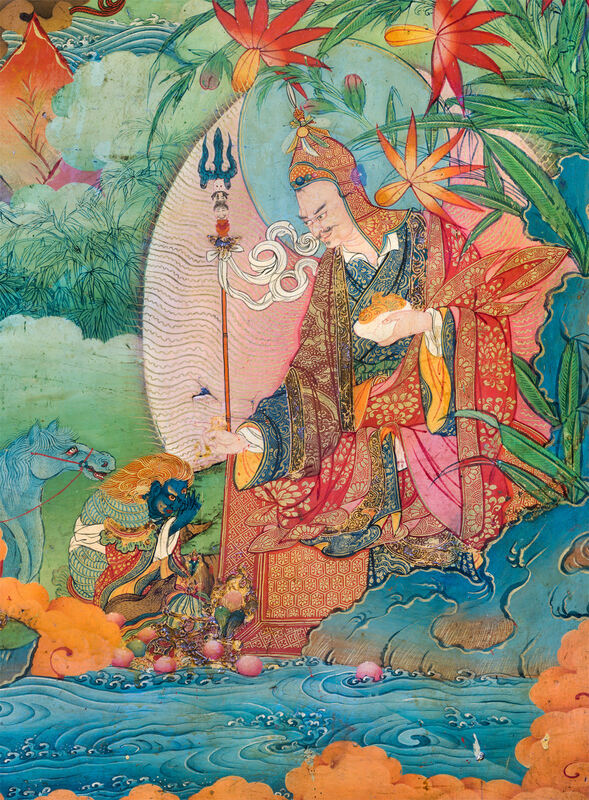 A detail from the murals in the Dalai Lamas’ private meditation chapel, painted circa 1700, depicting Guru Rinpoche or Padmasambhava accepting obeisance after he has subjugated the Lu King, or Naga King (a serpent spirit). 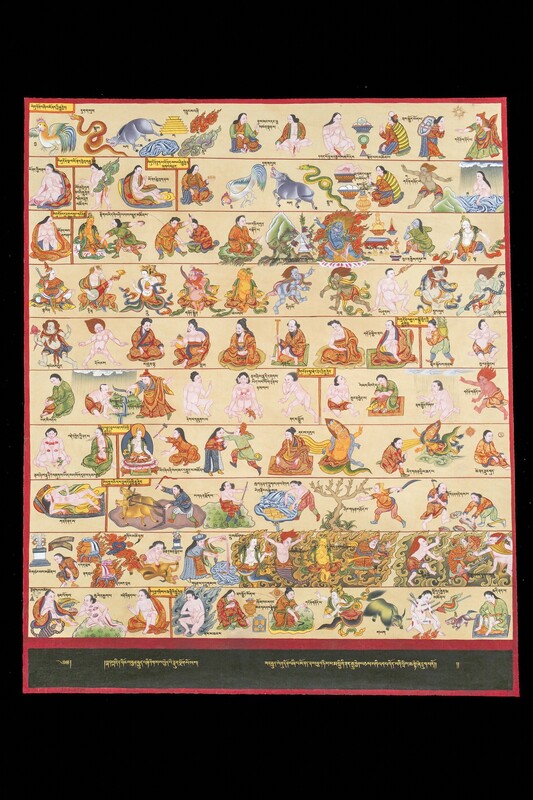 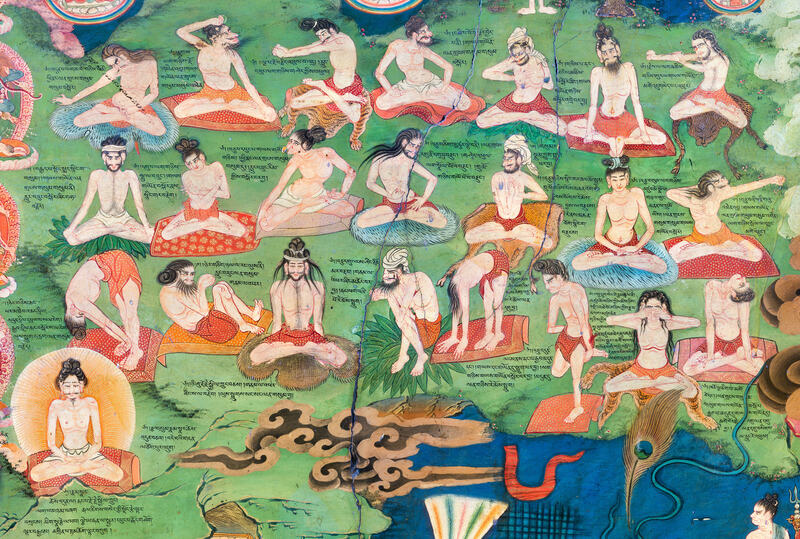 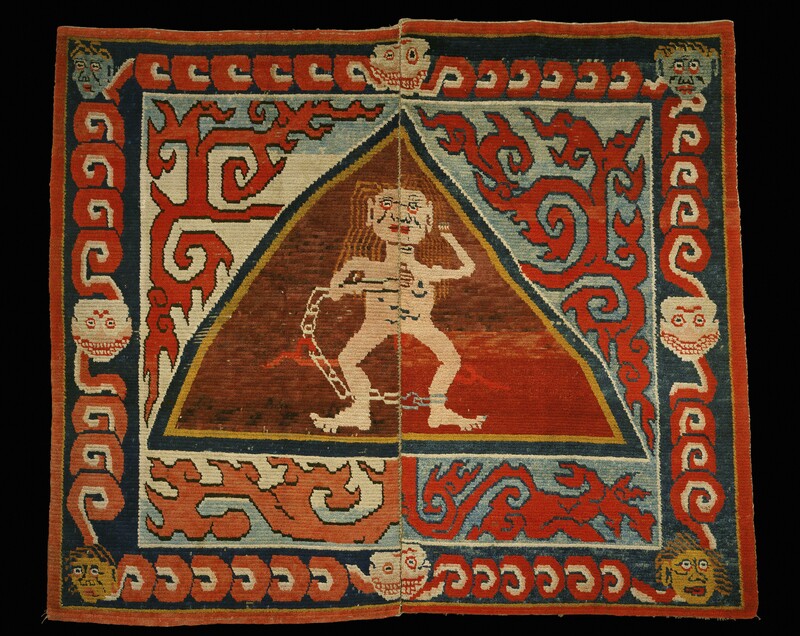 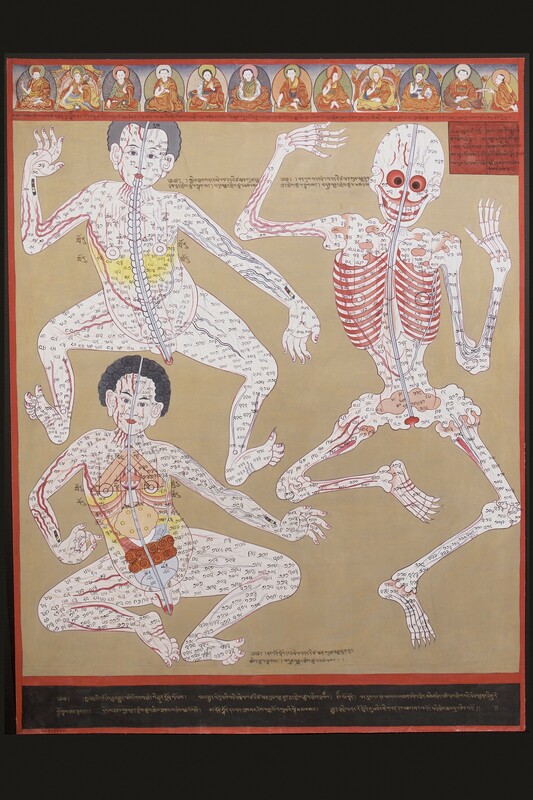 A Tibetan Medicine Thangka, or scroll painting, depicting the traditional Tibetan medical system and its representations of subtle physiological processes essential to optimal health. 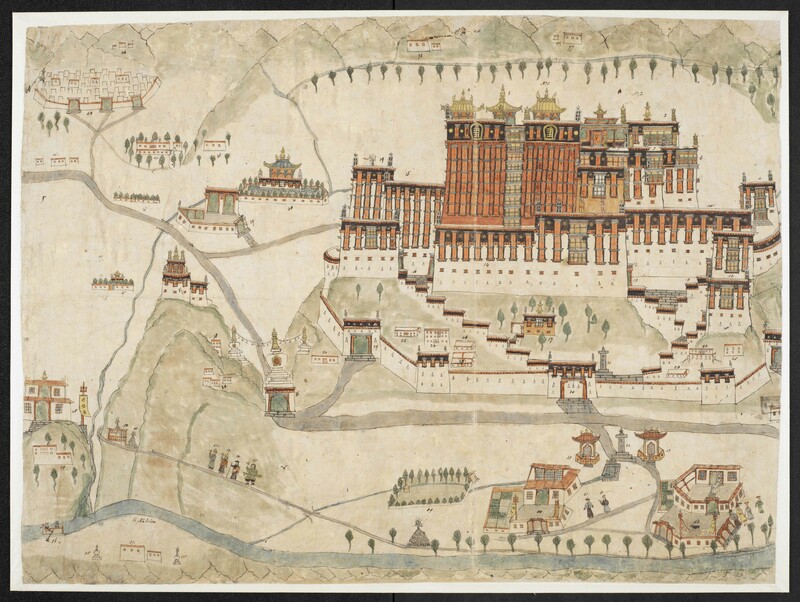 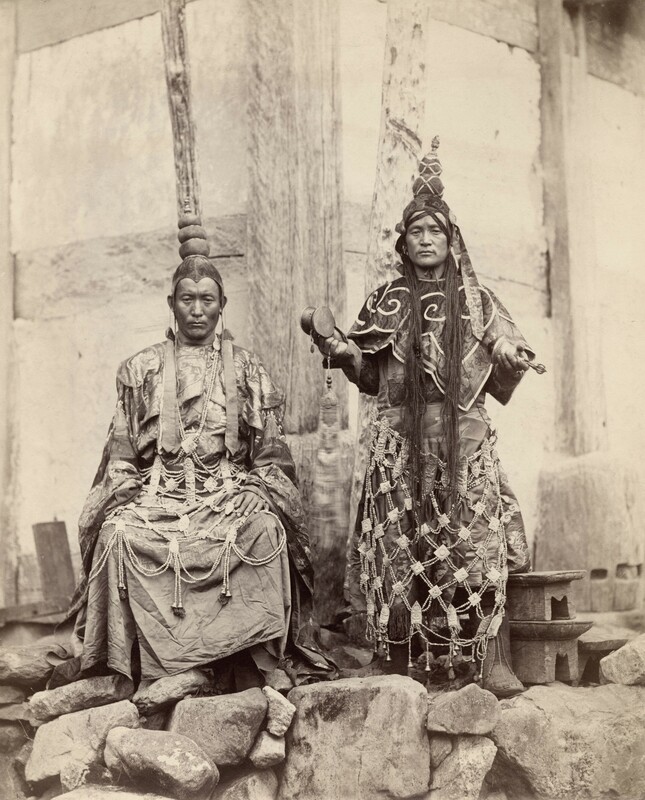 Lamas at Talung in Sikkim, East India. 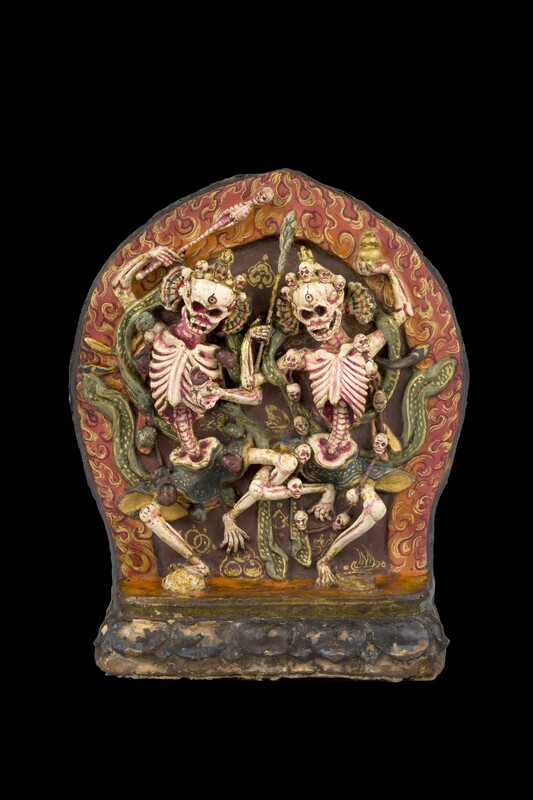 A sculpture of Chittapatti Skeletons.